Manuscript is a legal opinion in the dispute between the Cistercian abbey of Cambron and the college of canons regular of Collégiale Saint-Vincent de Soignies. The canons had accused the Cistercian monks of illegally occupying land in Sars Moullet. 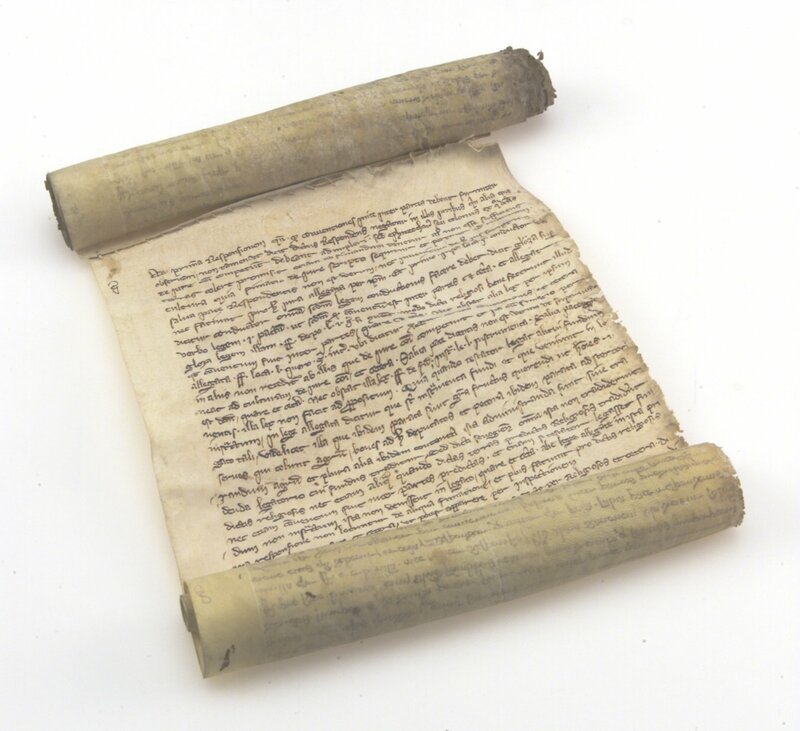 1 scroll (two membranes stitched end to end) written in charter hand, dark brown ink.